First things first: I hit my 4 week goal for my protective styling!! *cheers! * It wasn't even as hard as I thought it was going to be. I wanted to take them out at after about two weeks because I had so much new growth, but it was easy once I got over that. I probably could have kept them in for a couple more weeks if it weren't for all the new growth. New growth is (almost) always the reason I want to take these styles out early. That, plus the fact that I get bored with my hair quickly. I think I had half an inch after two weeks. No exaggeration. Check the pic! The thing I always worry about with a lot of new growth is too much shed hair causing issues. So, I re-twisted the perimeter to make myself feel better. I have to admit... I was a complete slacker when it came to my hair this past month or so. I feel like I didn't moisturize as often as I should have. And... I did not wash my hair at all for the whole time I had in my twists ya'll! Lol I should be ashamed huh?! I didn't even use my dry shampoo! I am such a champion of keeping your scalp clean, but umm... yea it just didn't work out this time. Surprisingly, my scalp did not protest AT ALL so I dont actually feel too bad about it. Last week was the first time it started bothering me and itching. By then, it was time to take them out anyway. Because my hair seems to grow like weeds when I'm protective styling, I'm really motivated to try to keep it up for the rest of this year. I still find it unbelievable how much my cornrows grow out in such short periods of time when I have in crochet braids. In the picture below, it is hard to see where the braids even begin! You can check here for what they looked like originally. This personal protective styling challenge is working out well because I currently do not feel like being patient or devoting the time it takes to do my hair like I usually enjoy. Next up is box braids. They will probably be done crochet style as well just because it's so much faster and easier for me. I'm going to wait about a week before installing them just to give my hair a little rest. Last, but certainly not least, my beloved Macbook Pro shut down on me!! I literally turned it off one day and it refused to boot back up. Major sadface. I still don't know if it can be revived, but the blog was way too quiet last month. I don't know how much longer I'll be without it at this point so, I guess for now I need to try to master blogging from my iPad? If any of you ladies know of some great apps for this, I'd love to hear your suggestions. Sorry to hear about your computer. Hopefully it comes back to life. Your hair looks great in these twists. I'm glad to hear that your hair is thriving using protective styling. 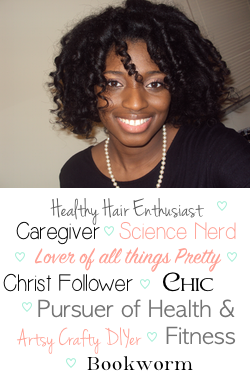 What's your favorite type of protective style? Thank you! 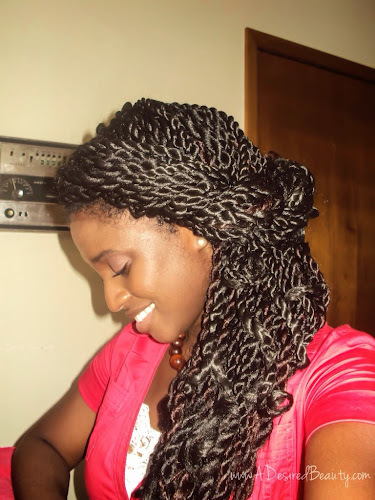 I'm terrible at favorites, so it's a tie between these twists and box braids. I love these types of styles. Wow! Your hair grows so fast. 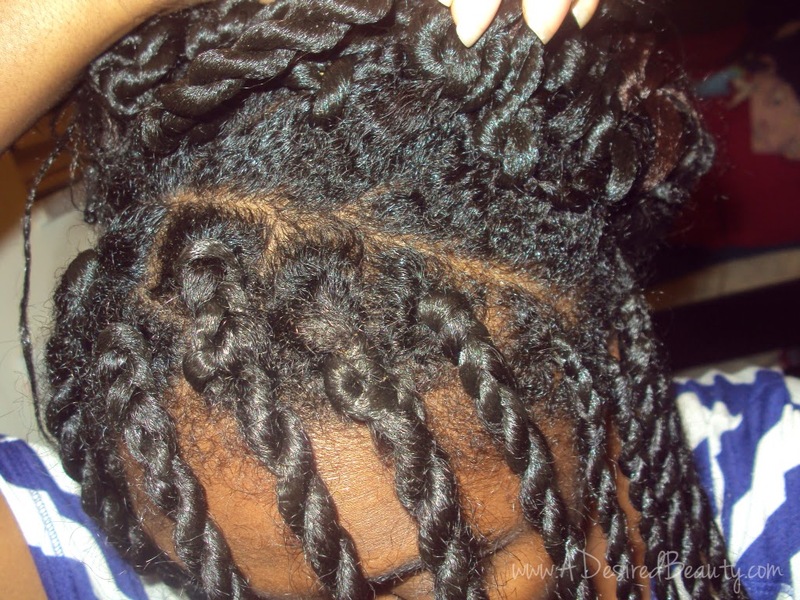 I am about to install my twists today. I hope you install yours again. They look so pretty. Get the computer fixed. We missed you around here. Aww! Thank you, Nerline!! I'm going to have to go check your twist out. I will definitely be installing these again at some point. Loved them! Your hair grew out so much in such a short space of time. This looks like such a great long protective style. I've had such bad experience with braids in the past. I totally understand the bad experience keeping you away from them, Tomes. My bad experience is what made me decide to teach myself how to do these styles on my own. With the way my hair grows in these styles, I am questioning why I don't do them more often! Thanks Jas! Yea I agree, it does take forever using that app!! I am really hoping to have my computer back soon. Fingers crossed that your MacBook magically turns back on! (A girl can wish can't she?) I totally missed you and your gorgeous hair chica! :) Thankssss KLP!! I've missed being here. And I'm happy to report that my Macbook is fully recovered! Yesssss! !